Height (bottom to top) 61"
Give your living room or home office a contemporary flair with this pier unit. 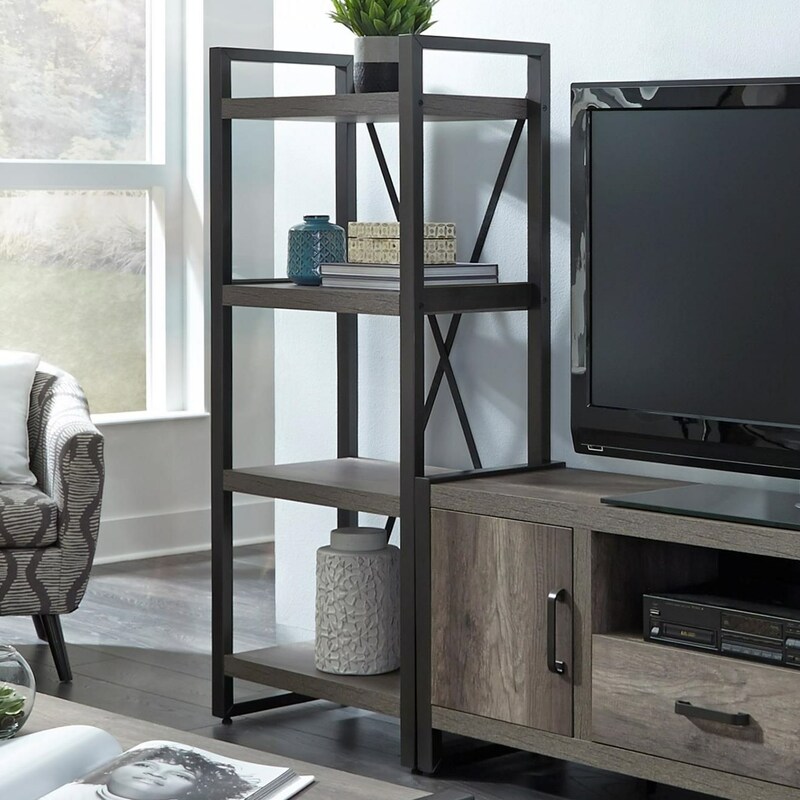 The uniquely modern look of the floating shelf design gives you plenty of stylish space to store your favorite reading materials or decorations. The 15 inch height of each shelf insures that you'll almost never have to be concerned about your plants or other decorations fitting on a shelf. The striking greystone finish compliments the clean linear design of the piece, helping to cement it as a stylish cornerstone of your living space.